Nicky Hayden has not managed to overcome the serious injuries he suffered this past Wednesday after being hit by a car while training with his bicycle on an Italian road near Rimini. The American rider died on Monday at the Bufalini hospital in Cesena accompanied by his fiancée Jackie, his mother Rose and his brother Tommy, who had arrived in Italy from the United States throughout Thursday morning, leaving their brothers Roger and Kathleen to the care of their father Earl, sick of the heart. 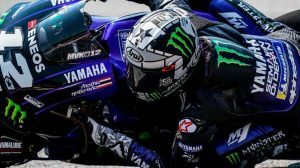 Since the news of Hayden’s outrage jumped to the media, everyone has been very aware of the health´s condition of the 2006 world’s premier class champion and MotoGP Legend. Aside from the open fracture in one leg and the multiple chest contusions he sustained on the impact, doctors were most concerned with the severe trauma Hayden had suffered in his head, causing “very serious brain damage“. It seemed almost impossible for him to recover. Nicky Hayden, who turned 36 on July 30, had become one of the paddock’s most beloved racers. During his 12 years in the MotoGP premier class, the Owensboro native had three victories, 28 podiums and also became the last North American MotoGP champion; Was in 2006, a season in which Hayden fought hand to hand against Valentino Rossi until the final event of Valencia, where the mythical #69 dorsal achieved his longed for world crown. After debuting with HRC in 2003, Hayden remained true to the Japanese brand until 2009, when he set out for Ducati. There he shared box first with Casey Stoner and then with Valentino Rossi and Andrea Dovizioso, bidding farewell to the Borgo Panigale factory in 2014 to get on the Honda Aspar Team. Along with the Spanish team, Hayden completed his two more complicated seasons in MotoGP; Finally, the lack of results with the RC213V and the absence of competitive offers caused that Hayden changed of air, betting for the World Superbike within the Honda Racing SBK Team. In his first season at the controls of the CBR 1000 RR Fireblade, the #69 achieved a victory and four podiums, achieving a meritorious final fifth position. Facing 2017, the problems with the new Fireblade SP2 prevented Hayden from starting the season following the good line of 2016. Nicky Hayden was born on a hot July 30, 1981 in the town of Owensboro, in the state of Kentucky. His first steps in the world of motorcycles were in the discipline of flat-track, where his father Earl had already harvested some important results nationwide. Both Nicky and his brothers Tommy, Roger and their sister Kathleen began to participate in local flat-track races within the Earl Racing Team founded by their own father. Nicky was only four at the time. At age 16 he became a professional rider and made the leap to speed bikes, achieving fourth place in his debut year in the AMA Superbike. In 1999 he was a Supersport champion in the US, in addition to achieving the second position in Formula Xtreme, combining both championships with the AMA Pro Flat Track, climbing to the top of the podium for the first time in the Half Mile of Hagerstown. 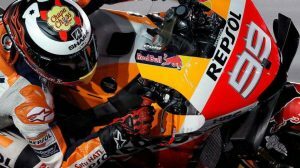 In 2002 he will achieve one of his dreams: to be champion of the AMA Superbikes next to Honda with only 21 years, an achievement that gave him the direct passport to the MotoGP, where he made debut in the year 2003 with team Repsol Honda. This emotional video recorded months ago by Honda shows Hayden’s father, Earl, talking about his son’s beginnings in the world of motorcycles and his determination to become MotoGP world champion. 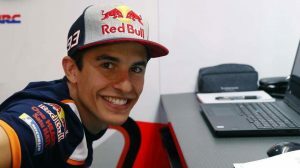 From Motorbikefans.com we want to convey our most sincere condolences to the whole family and friends of Nicky Hayden. Ride In Peace #69.